Art on the Farm, Cozad, Neb., Neil Farms, a turn-of-the-century barn and 1883 farmhouse filled with crafts, antiques, art and gourmet Nebraska food and wine, (308) 324-4338. County Wheat Plot Tour, Great Bend and Hoisington, Kan., begins at Terry and Steve Gaunt’s Farm, (620) 793-1910. Nebraska Beef Council Beef Bashes, Fremont and Sidney, Neb., HyVee in Fremont and Sonny’s Super Foods in Sidney, 11:00 a.m. – 1:00 p.m., (800) 421-5326. Chemigation Training Program, North Platte, Neb., West Central Research & Extension Center, 1:00 p.m., Dave Boxler, (308) 696-6721. Sandhill’s Cattle Assoc. 68th Annual Convention, Valentine, Neb., Cherry County Fairgrounds, 9:00 a.m. – 9:00 p.m., (800) 658-0551 or (402) 376-2310. Nebraska Beef Council Beef Bashes, Nebraska City and McCook, Neb., Norman’s IGA in Nebraska City and Schmick’s Market in McCook, 11:00 a.m. – 1:00 p.m., (800) 421-5326. 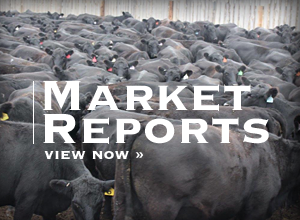 Nebraska Beef Council Beef Bashes, Hastings and North Platte, Neb., Allen’s Food Mart in Hastings and SunMart in North Platte, 11:00 a.m. – 1:00 p.m., (800) 421-5326. Stock Car Races, North Platte, Neb., Lincoln County Fairgrounds, ASCS Rocky Mountain and NCRA Sprints, Mini Sprints, Gary Herbst (308) 520-0824 or Tami Thurn (308) 325-4305. Wyoming Beef Council Meeting, Riverton, Wyo., Holiday Inn, 5:00 p.m., Ann Wittmann, (307) 777-6399. Tractor Safety Classes, Gering, Neb., Farm and Ranch Museum (FARM), for 14-15 year olds desiring to work on farms other than their parents’, UNL Extension Offices in Scottsbluff (308) 632-1480. From Recipe to Reality Seminar, Lincoln, Neb., Jill Gifford, (402) 472-2819. Tractor Safety Classes, Bridgeport, Neb., 21st Century Equipment, for 14-15 year olds desiring to work on farms other than their parents’, UNL Extension Offices in Bridgeport (308) 262-1022. Tractor Safety Classes, Gordon, Neb., 21st Century Equipment, for 14-15 year olds desiring to work on farms other than their parents’, UNL Extension Offices in Rushville (308) 327-2312 or Chadron (308) 432-3373. Windmill Festival, Comstock, Neb., for tickets or campsites, (800) 595-8712. 5th Annual Artistry in Wood Show, North Platte, Neb., Quality Inn & Suites, exhibits and demonstrations, Ron Meyer (308) 534-5136 or Paul Jeske (308) 532-2599. 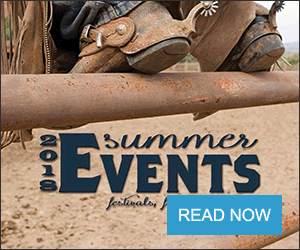 Nebraskaland Days, North Platte, Neb., PRCA Rodeo, parade, concerts & much more, (308) 532-7939 or (888) 313-5606. Miss Rodeo Nebraska Queen Pageant, North Platte, Neb., Miss Rodeo Teen Nebraska will coincide with regular pageant, Cindy Peterson, (308) 534-1112. 4-H Camp, Gretna, Neb., ages 11-14, Kevin Kramer, (402) 472–2718. Organic Farm Tour, Lodgepole, Neb., Legion Hall, 8:30 a.m., Karen Spath, (402) 472-8616. Entry Deadline for Miss Rodeo Buffalo Co. Contest, Kearney, Neb., ages 16-22, Cheri Hilton, (308) 893-4685.